We ship boats from/to or within most cities in the USA. 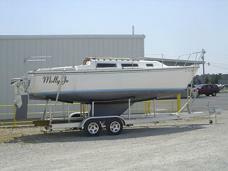 We also transport boats from USA to Canada or Canada to USA. To view locations we have drivers click here. 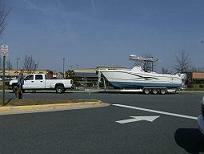 Showroom Transport specializes in moving boats or jet skis that are already on a trailer. 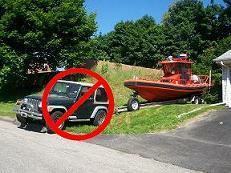 If it is a boat on a trailer, we hook up to it and tow it where it needs to go anywhere in the continental US. If you have a jet ski on a trailer, we normally load the whole jet ski and trailer on top of one of our trailers. With hundreds of drivers as well as independent owner operator drivers, we are capable of picking up your boat fast! Here is an example of one of our drivers explaining how to tow a boat that is on a trailer. There is only one company to choose when moving having to move a boat that is on trailer. That is Showroom Transport - Boatmovers.com. Not only will you be working with a company that is available to actually speak to you on the phone 7 days a week, yet the drive assigned to moving your boat will be well trained and professional. When you set up your boat to be moved with us, you have a whole team assigned to moving your boat...not just the driver, yet our whole company making sure your boat gets delivered on time. You will receive an affordable rate for your boat shipment. We give you the best price possible to do the job in the time frame you want. Since we do have business all over the country, we can keep the prices lower than most professional companies that do what we do. Why? Because after that driver delivers your boat, he/she will most likely be assigned to another boat nearby where he dropped yours off. This way you are not charged for a round trip when it is only going one way. Please give us a call now at 800-462-0038. We are hear to arrange your boat transport and answer any questions you may have. Showroom Transport is a Nationwide Transport Company. We have handled the transport for automobiles, construction or farm equipment, boats, jetskis, trailers etc.. for many years. We are open 24/7. Showroom Transport is licensed with the Federal Government, Insured and Bonded. We invite you to talk to a sales representative, available 24 hours a day. Are you in a rush for a quote? We can call you NOW to give you a FREE quote! Just PUSH the Ring Me Button Below and you will receive a call from us. Just pick up your phone when it rings and wait until a representative answers the phone.